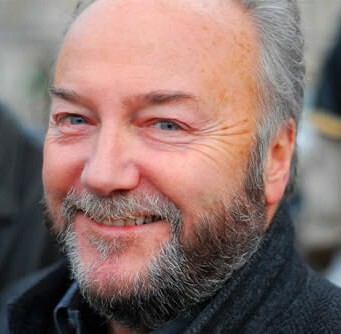 Respect Party MP George Galloway will join Ken Livingstone, Professor Tariq Ramadan, Anas Altikriti of the British Muslim Initiative and a wide range of leading writers, commentators, campaigners and politicians at a conference to discuss the Progressive Agenda to Stop the Right in 2010. The conference on 30 January in London will bring together leading figures to discuss the most important issues for progressive politics in 2010, nationally, internationally and in London. Sessions include: “Peace in the Middle East, justice for Palestinians”, “One society, many cultures” and “Stopping the BNP – no concessions to the far right”. Other discussions will include investment not cuts, culture, climate change, and defending public services such as education. Ken Livingstone; Jenny Jones AM – Green Party; Speech Debelle; Mike Tuffrey – Leader, London Assembly Liberal Democrats; Sadiq Khan MP, Minister of State for Transport; Eugenie Harvey – Director of 10:10; Johann Hari, writer; Doreen Lawrence; Rowenna Davis; Mehdi Hasan – Senior Editor (Politics), New Statesman; Richard Gott – writer, Darren Johnson AM – Green Party; Serge Lourie – Leader LB Richmond Upon Thames, Lib Dem; Kate Hudson – Chair, CND; Professor Tariq Ramadan, Edie Friedman – JCORE Linda Perks – Regional Secretary, Unison; Diane Abbott MP; Dr Abdul Bari – MCB; Tessa Jowell MP, Minister for London; Nizam Uddin – President of ULU; Chris McLaughlin – Editor, Tribune; Lutfur Rahman – Leader LB Tower Hamlets; Adam Bienkov – London political blogger; Jon Trickett MP; Megan Dobney – Regional Secretary, SERTUC; Sunny Hundal – Liberal Conspiracy; Bell Ribeiro-Addy – NUS Black Students Officer; Len Duvall AM; Mick Shaw – President FBU; George Galloway MP; Helen Gardner – Boriswatch.co.uk; Steve Hart – Unite regional secretary; Chris McClaughlin – Editor – Tribune; Wilf Sullivan – TUC Race Equality Officer; Val Shawcross AM; Andy Newman – Socialist Unity; Ann Pettifor; Professor Avi Shlaim, Samuel Moncada – Venezuelan Ambassador; Bruce Kent – Vice President CND; Neal Lawson – Compass; Kevin Maguire – The Mirror; James Macintyre – Political Correspondent, New Statesman; Jon Cruddas MP; Daf Adley – NUS LGBT Officer; Simon Birkett – Clean Air Campaign; Karen Buck MP; Uprise speaker; Martin Hoscik – editor MayorWatch; Alex Smith – Labourlist; Cllr Stephen Cowan – Labour group leader, Hammersmith and Fulham; Anni Marjoram; Anas Altikriti – British Muslim Initiative; Claude Moraes MEP; Sam Tarry; Tom Barry – Boriswatch.co.uk; Richard Ascough – GMB; Simon Weller – ASLEF. Investment not cuts; Trident, Afghanistan, Iraq – the cost of war; Challenging Cameron’s media echo chamber; Stopping the BNP – no concessions to the far right; After Copenhagen – turning the tide on climate change; PR – progress through electoral reform? ; Young people and the economic crisis; One society, many cultures; Blogging London; International fight against the right; Capitalwoman; Lessons from Latin America; Why the Tories are not progressive; Peace in the Middle East, justice for Palestinians; Sessions on a progressive agenda for London – affordable housing, transport, culture and many more. “Progressive political forces must seize back the agenda by offering policies that ensure that the majority of people are not made to pay for a crisis they did not create. At last those what fight for us all have a full say and have their views heard now for the television and it’s one side view of life, many who have no voice in this country feel leaf out and that war and such like is done in their name and they are being made to vote for parties they have no liking for. The names are good and have a voice that should ring out loud and clear the BNP had to be seen and heard by many so that they could show themselves up for what they are I think that UKIP are the same just in better suits. The world belongs to all of us not just the USA nor is this country as superpower they are a military power because they spend most of their taxpayers money on bring death to others and then stealing from those countries but it the way other countries follow them and take the crumbs they give out Brown, Blair,Miliband brothers to name a few and Cameron is Blair only worse, never ever forget Thatcher and what she did to the poor of this country for no other reason that she hated them. I am so pleased with what has been done for Gaza by the many from around the world. I can not make it to the meeting but I wish you all heart felt love for what you are doing for mankind. Now try and close the gates of hell.